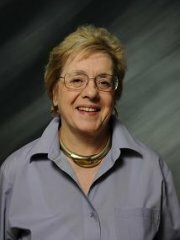 Dr. Carol Kasworm is retired as professor emerita in the Department of Educational Leadership, Policy and Human Development. Previously, she was department head (1999-2009). Her earlier academic leadership and faculty roles included Associate Dean for Research at University of Tennessee-Knoxville, Associate Vice Chancellor and Interim Senior Provost for Program and Faculty Development at University of Houston-Clear Lake, Area Coordinator at University of Texas at Austin, Assistant Director of Housing at University of Georgia, and Resident Instructor at University of South Florida. Dr. Kasworm has been a Fulbright Specialist in Finland and a Fulbright Hays Fellow in India, as well as a Visiting Scholar at Seoul National University, at Putra Malaysia University, and at the Danish University of Education (now University of Aarhus). She is a member of the International Adult and Continuing Education Hall of Fame. Her research interests have focused upon the adult undergraduate experience, including defining characteristics of adult students, the nature of learning engagement and participation patterns of adult students, and the role of adult higher education in a lifelong learning society. She has consulted with a variety of both institutions and state systems regarding access and support for adult students. Dr. Kasworm’s scholarship includes 6 books, 34 book chapters, 82 refereed and nonrefereed journal articles, as well as numerous conference proceedings, monographs, and conference presentations. She most recently was a consultant in Bonn, Germany for the German Institute of Adult Education examining access and participation of adult learners in higher education.